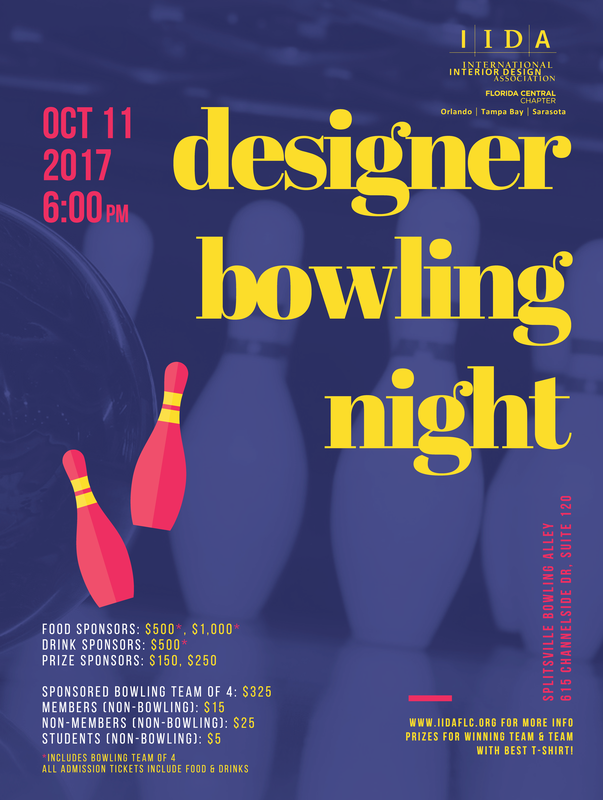 Bowling team of 4 (including yourself) included in sponsorship. At least 2 team members must be designers. Please register your team members as guests here. Registration includes food and drinks but does not include bowling. If you would like to bowl, you must be a part of a sponsored team. Contact Amanda at info@iidaflc.org for more information!